Jobs that promote the destruction of our environment are not jobs for the future. Jobs that fit us into a more rhythmic balance with nature are integral for our future. The Morrow Pacific Project will further entrench the barging industry and create further dependence upon the dams that block our most precious river. The proposal is a proposal that runs counter to the interests of our local communities and the Native Americans. The Morrow Pacific Project, a proposal to transport coal from Wyoming and Montana to Oregon for shipment to China, Korea and Japan, must be altered. The coal would be shipped via rail to Boardman, Oregon where it would then be loaded onto barges for transport down river to the Port of St. Helens. 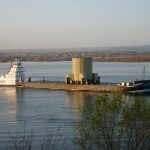 The project would result in an additional 12 barge tows on the Columbia. Such a proposal would further entrench the barging industry and make them all the more powerful in a bid to keep dams operating on our rivers. About two hundred dams (http://www.psmfc.org/habitat/salmondam.html) were built along the Columbia between 1930 and the late 1970s. This helped foster the barging industry that used the slowed river to advance goods up and downstream and created an artificial reliance upon this form of shipment. 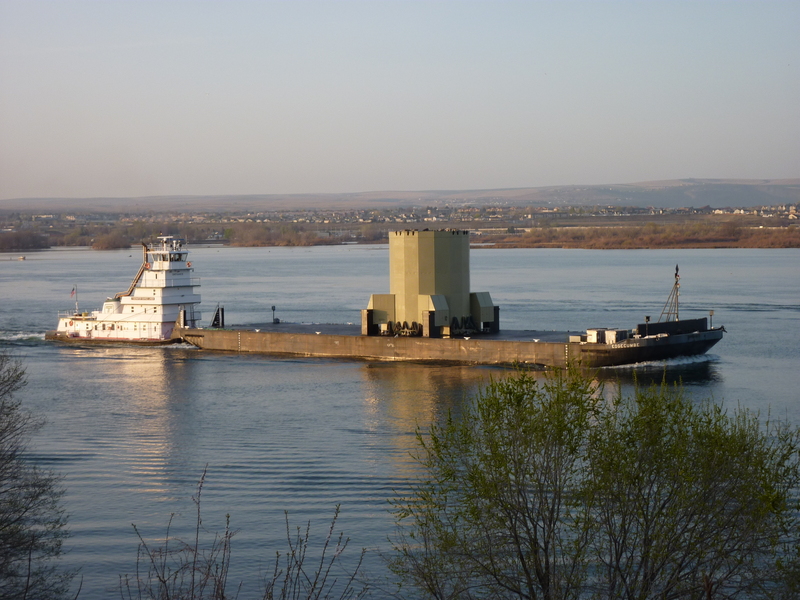 Since then, the industry has trucking and training beat for offering the best prices on shipment of goods and has boasted that its power blocked proposals to lower the river to expose the beauty of Celilo Falls. Oregonians face an uphill battle to alleviate the strain upon our river systems. Bonneville alone is a behemoth that no one really believes can be broken. However, Congress authorized to build the Bonneville dam in 1930, emphasizing the “taming of the Columbia.” This dam will soon run its lifecycle. In order to replace a dam of this size and magnitude with low-impact technology that leaves the river partially open for fish passage, effort must begin now to build awareness regarding Oregonians and Washingtonians’ options. For those seeing such an effort as a lost cause, it may be helpful to think about how large corporate interests can also be on the side of freeing the Columbia. Oregon company and outdoor recreation outfitters Columbia Sportswear, among others, would benefit tremendously from a river that teemed with fish and rapids. Oregon must put in place leaders in Washington willing to promote the proper industries to make this dream a reality. Additional rail lines are needed to support a shift away from barging to carry wheat and other agricultural products across the state to Portland. The Bonneville dam and many others on the Columbia River including the John Day dam are referred to as “run-of-the-river” dams, meaning that they do not back water up to create a reservoir. If electricity can be generated in such quantity from these operations, how could “run-of-the-river” technology be utilized to construct dams that do not impeded the full width of the river? Portlanders have the option on their energy statement from Portland General Electric to source their energy from Green Source and Clean Wind resources. See www.greenpoweroregon.com. Choosing these local options is the first step. Putting the right folks in Washington D.C. is the second step.